RAJ PETRO SPECIALITIES P. LTD. The petroleum specialities flagship company is involved in core manufacturing activities under 'Raj Petro Specialities Private Limited' ONEWORLD IMPEX PVT. LTD.
A new dynamic marketing arm, One world Impex Pvt. Ltd. is engaged in marketing of specialty lubricants and performance chemicals, as also providing quality services in the medical diagnostic and hospitality sectors. Established in 1942, the first entity of the group was a modest petroleum specialities trading outfit, with a strength of less than five. From this modest beginning six decades ago, the group has evolved into a multi-product and multi-facility conglomerate. 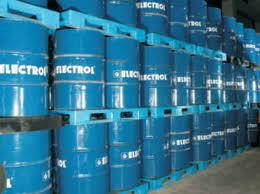 Today it is a leading manufacturer and supplier of a diverse range of petroleum speciality products. Raj Group today is an eminent Indian Business House having diversified interests ranging from process oils and lubricants to performance chemicals and international trading, as also hospitality and diagnostic services. Over the past 60 years, the Raj Group has consistently made efforts to be World Class in every sphere of its business activity. Today, the Group has a dynamic global sourcing network, a comprehensive range of products, state-of-the-art ISO 9001:2000 manufacturing facilities, a dedicated research & development outfit to support its present and future innovative needs, and a proactive marketing team servicing a very large number of satisfied customers in India and all continents across the globe.